A bridge is used to replace one or more missing teeth. It requires that the teeth supporting the bridge be ground down in order to be capped. 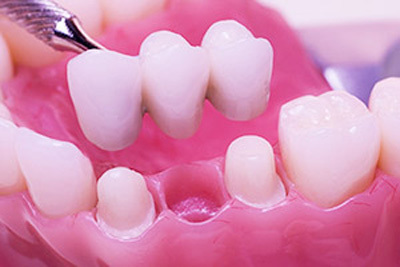 When one or more missing teeth create a gap, a bridge is used to fill the gap with false teeth. Dental bridges consist of two crowns anchored to the natural teeth on either side of the gap, with a false tooth or teeth connected in between. People sometimes refer to removable dentures as “bridges.” This is incorrect as bridges are fixed, permanently cemented restorations that act like your natural teeth. Dr. Radu’s 35 years of experience has given him the skills to make crowns that fit comfortably, look good and will last a long time. As with every restoration he creates, Dr. Radu combines his skills with his artistic eye to make sure you have both the functionality needed along with the appearance you want. 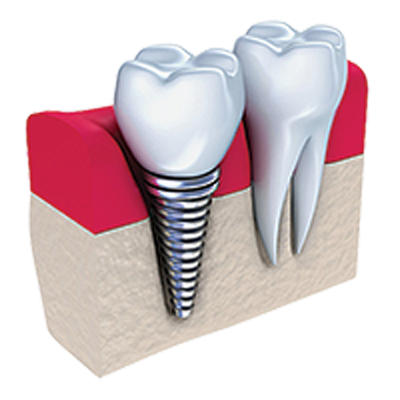 A dental implant does not require the teeth next to the missing tooth to be altered in any way. In many cases a dental implant may be a better option than a dental bridge. Implants are more durable than a conventional bridge, they can last a lifetime and look and feel just like a natural tooth. .Dr. Radu will first do a thorough exam with X-rays, followed with a consultation. 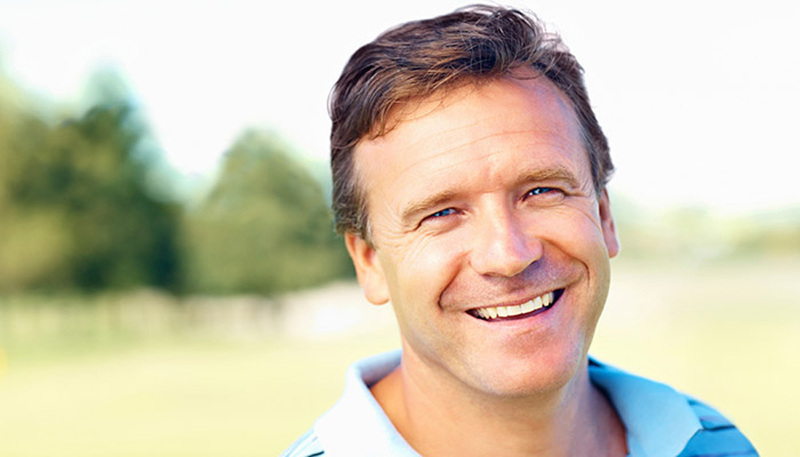 Depending on what is needed, he will go over your best options for replacing missing teeth. To find out what your best options are for replacing one or more missing teeth, take advantage of our Complimentary Dental Implant Consultation. You will learn about the different treatments, including whether a regular bridge or implants would be best for you.